Funeral services will take place on Sunday, February 10, 2019 at 2:00 p.m. in the Chapel of the Taylor Funeral Home. Bro. Jim Suddeath and Bro. Hoby Grace will officiate. Interment will take place at the Edgewood Cemetery in Dickson County. Visitation with the family will be at the funeral home on Saturday evening from 4:00 until 8:00 and on Sunday from 12 noon until the time of service. 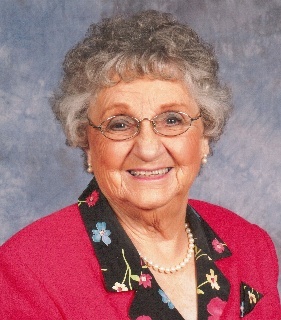 In addition to her parents, she was preceded in death by her husband, John Russell Parchman; her brothers, Arthur Dotson, Raymond Dotson, Lucian Dotson, Marable “Bubba” Dotson, and Lyndon Dotson; her sister, Imogene Constance; her great-granddaughter, Ashley Brook Seals; her daughter-in-law, Betty Lynn Parchman; and her son-in-law, Dale Seals.